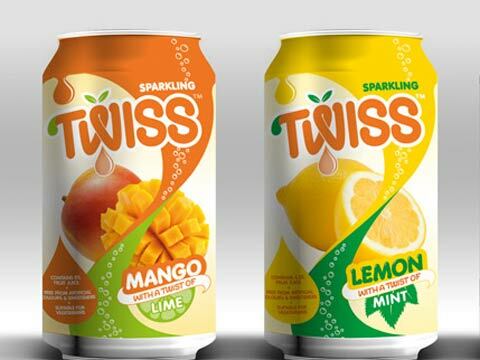 Finding Indian sparkling drink market almost untapped, UK based Twiss Fruit juice brand has ventured in India. Nitin Menon, Managing Director, Twiss unveiled the future strategies of the brand to Restaurant India. How and when Twiss came into existence? Twiss was launched in UK in 2011. It is a combination of two fruits or herbs Complementing each other and giving new twist to its delivery in taste and that’s why we call it as great Twiss. Mango itself is a great testing food, but by adding lime we just made it taste better. This is how the whole idea took place and we launched the brand. The brand is now widely accepted and doing reasonably well in UK. Tell us about your brand and the flavors it offers? In the sparkling fruit juice category we have launched four products namely mango with lime, passion with orange, lemon with mint and apple with blackcurrant in 250 ml can priced at Rs 40. The shelf life of our drink is 18 months. We will not say we are organic. There is a small niche of consumers who are talking of organic, but the mass consumer still consumes the normal products. Our products contain Argentinean lime, it’s not very limy, but it’s a very smooth. We have got our established product range existing in UK. We have got a pipeline of more quirky flavors meeting Indianised requirement. We probably target 16 to 28 years old. Primarily students from colleges, universities who have certain amount of disposable income or pocket money, which they easily shell out. As per our research the acceptability for our flavor and taste among youth is high. What inspired you to launch Twisss in India? We think that the market is much bigger outside in terms of innovation, then we looked at India. We have done lots of research and found that in the sparkling drink category India has colas and flavored carbonates like Mirinda, Coke, Sprite, 7up among others, but the concept of sparkling fruit juice did not exist. There is only brand in the sparkling drink category that is Appy Fizz. This is the reason we thought that in India there is a good opportunity where no one is present and we felt we have something which is really good. What about producing in India? The question was where do we get it manufactured, eventually we decided to get it manufactured in India, so that we would have some cost advantages and it would be perfectly fitting with Make In India, Made In India and Made For India concept. We source our fruits, which are quite global in nature. Mango is very much local product, but passion has grown in many places like Kerala and North-East region and we would like to explore the opportunity of getting it locally, which would save us on a lot of prospects. Around 70 percent of our products are domestically sourced and 30 percent are imported. How healthy is the drink for diabetic prone Indian consumers? It is a choice of consumer to drink or not. . Advice is, you drink everything in moderation and then you have your exercise ready to keep sugar in control. It’s refreshment drink. Which are the cities you are primarily looking to target and what are your future expansion plans? We are looking at cities like Mumbai, Pune, Bengaluru, Chennai, Hyderabad and Delhi. We have identified about 50 towns; the metros, tier I, II and III. We would like to tap almost all A and B category of retailers. Also, we are exploring the opportunity to tying up with some of the QSR's and ethnic local food chains where they serve spicy and aromatic food, which needs this kind of sparkling drink to go along with. Internationally we are looking to venture into Gulf and Middle-East region. We are excited about the big proliferation of e-commerce in India, especially in online grocery. Coming summer we will be dealing with Groffers.com and Bigbasket.com. Any plan of launching your own e-commerce portal? No not as of now. We will launch the consumer engagement app, but not the commercial app availing purchase option as we only have soft drink. Consumer engagement app will be launched to gain ideas on how to engage with consumers from a marketing perspective. How do you see the Indian beverage market three years from now? The market will get more innovative with appeal by PM Modi to the soft drink players to add two percent of fruit juice. More players will get into the market and will grow the category. There will be place for everyone. Beverage market has grown by almost 14 to 15 percent since last three to four years. I expect that the growth will continue with more players coming in.The market is around Rs 14000 cr to Rs 15000 cr in India. What is the target revenue? On an average we are targeting Rs 20 cr of turnover by the end of the year.